Are you looking to represent your favorite soccer team at a low price? The best place to find cheap soccer jerseys online in the USA is at soccerloco. At soccerloco, you’ll find a large selection of soccer jerseys on sale from a wide range of international clubs and national teams. The best place to buy a cheap Arsenal jersey, Manchester United jersey, Barcelona jersey and many more jerseys is at soccerloco. Our discounted soccer jerseys for both youths and adults are top-of-the-line and made from comfortable, moisture-wicking materials, ensuring that you feel relaxed whether you’re out on the field or cheering from the sidelines. Stay confident that you're still getting a quality piece of fan apparel at a fraction of the price. 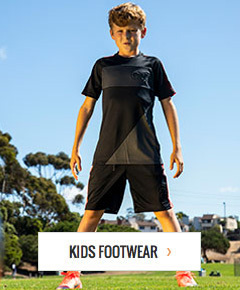 As the premier destination on the web for all your soccer needs, we make sure to carry inexpensive soccer uniforms from the industry’s best brands, including adidas, Joma, Nike, Puma, Warrior, and Under Armour. We also provide flat rate shipping on qualifying orders. Want a different size or style? No sweat! We offer quick, easy, hassle-free returns. Shop for a clearance soccer jersey now and support your favorite team without breaking the bank. This is a bargain you are not going to want to miss. Also, Are you ready for the Euros this summer? Buy Euro 2016 jerseys online with soccerloco. We have a host international soccer teams jerseys. Get soccer jerseys at a cut-price.